Nate Augspurger comes on for USA. Ryan Matyas leaves the field. Alan MacGinty misses the conversion. Bryce Campbell scores a try for USA. Georgia decide to make a substitution, with Lasha Malaguradze getting some game time. Georgia decide to make a substitution, with Merab Kvirikashvili being replaced. Huluholo Moungaloa (USA) is shown a yellow card. Georgia make a substitution with Zurabi Zhvania coming on. Georgia make a substitution with Mikheil Nariashvili coming off. Georgia sub Shalva Mamukashvili comes onto the field. Jaba Bregvadze departs for Georgia. Nate Brakeley comes on for USA. Greg Peterson leaves the field. Soso Matiashvili steps up to take the penalty goal but doesn't make it. USA decide to make a substitution, with Paddy Ryan getting some game time. USA decide to make a substitution, with Dino Waldren being replaced. Georgia make a substitution with Giorgi Nemsadze coming on. Georgia make a substitution with Giorgi Chkhaidze coming off. Georgia sub Lasha Lomidze comes onto the field. Shalva Sutiashvili departs for Georgia. 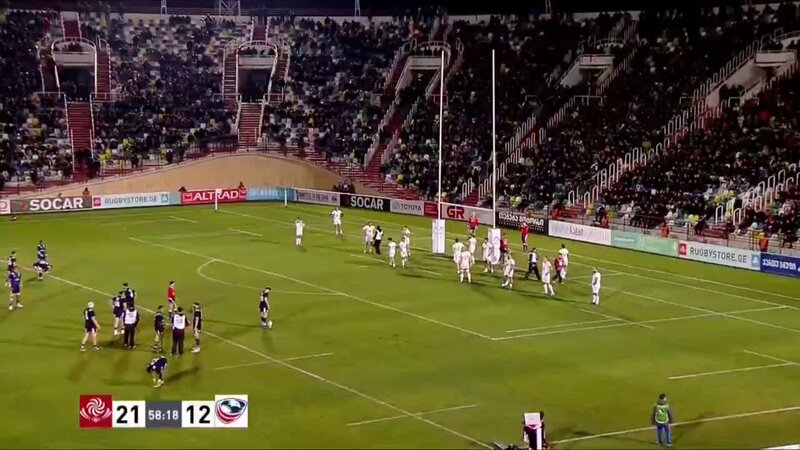 Soso Matiashvili makes no mistake with that conversion attempt. Jaba Bregvadze scores a try for Georgia. Levan Chilachava (Georgia) is shown a yellow card. Soso Matiashvili converts the try. Levan Chilachava scores a try for Georgia. Joe Taufete'e scores a try for USA. Penalty goal attempt from Alan MacGinty has the distance but not the direction. 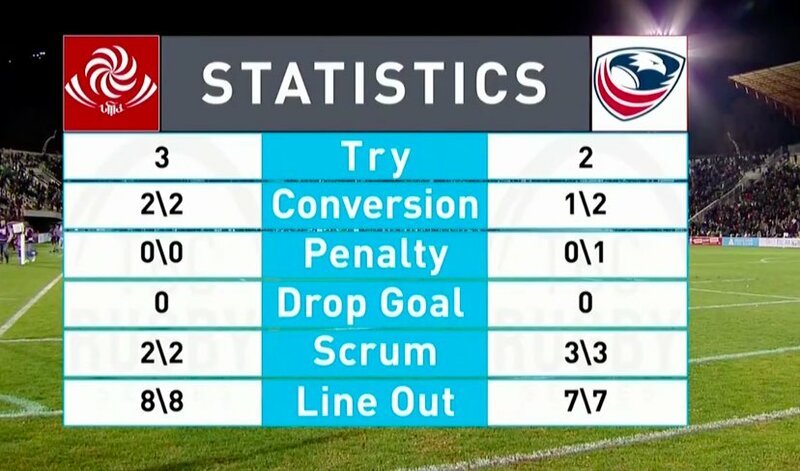 The referee awards a penalty try to Georgia. 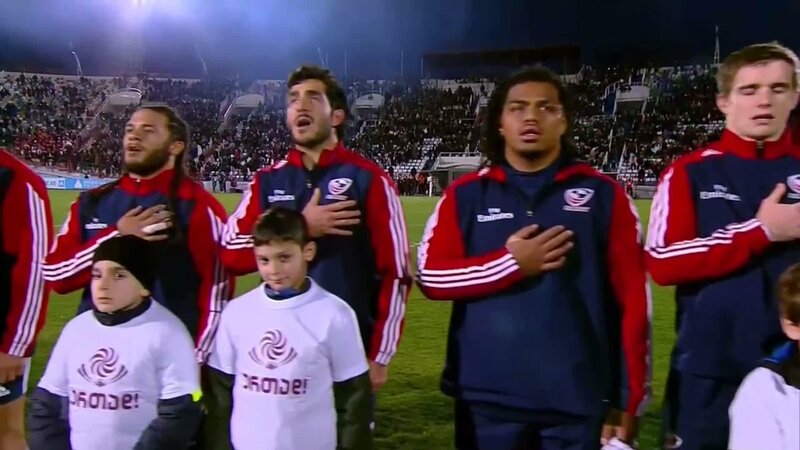 Huluholo Moungaloa comes on for USA. Olive Kilifi leaves the field. A Go-Forward kinda run by Bryce Campbell! 21-20 USA down with 3 minutes remaining. AJ MacGinty brings the Eagles within 6 points vs Georgia. MacGinty puts 3⃣ through the posts to keep the 🦅 in the game. Power of the Georgian forward pack holds strong // Eagles look for momentum as a scrum starts the 55th'. Bregvadze breaks through the line to extend Georgia's lead. #3 Chilachava called for dangerous play and Georgia sends another to the SIN BIN! 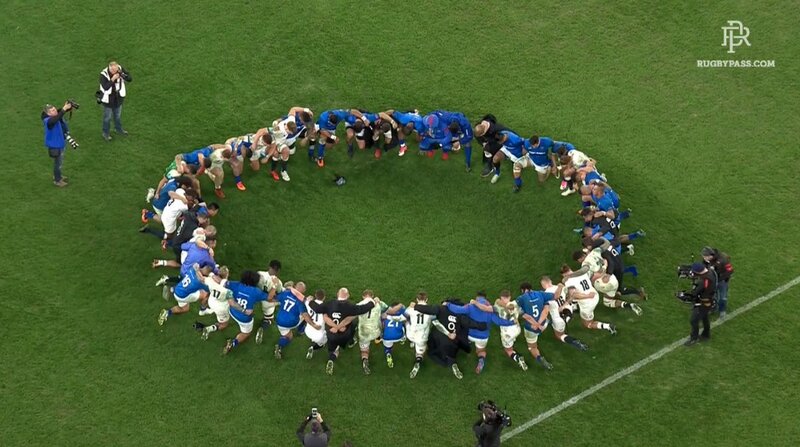 Lelos cross the line with get their second try of the match. Match heats up! Georgia's #7⃣ Kolelishvili sent to the SIN BIN! Excellent drive let's Taufete'e put the Eagles on the board first! Stay away from the opposition with these evasion tips!